Every year those gymnasts who participate at World Cup Events get World Cup Series points. As a result, it is possible to point out World Cup Series champions. This year two countries, Italy and Hungary, showed best results at the FIG Aerobic World Cup Circuit. Hungarian gymnast, Daniel Bali, who is just 19 years old, deprived the World champion, Ivan Veloz, from his third title of World Cup Series. Daniel Bali showed astonishing results having achieved the title at the Cantanhede World Cup in Portugal, having taken silver at the Suzuki World Cup in Japan and finally he finished with bronze at the Borovets World Cup in Bulgaria. Ivan Veloz, a Mexican gymnast, was the World Cup Series champion for two years. Unfortunately, this year he managed to get only fifth place at the Suzuki World Cup. 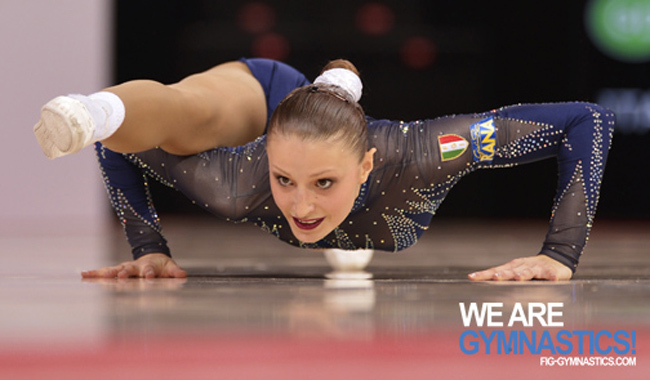 Italian gymnast, Michela Castoldi, managed to get only 24th place in 2014. But this year she has become a new World Cup Series champion. Michela Castoldi was able to edge the French Aurélie Joly who competed in only two of the three World Cup events, but scored well, winning in Aix-les-Bains and finishing third in Japan. The winners of Mixed Pairs competition are Daniel Bali and Dora Hegyi. They edged Davide Donati and Michela Castoldi. Both couples won one World Cup gold (Bali and Hegyi were the champions in Aix-les-Bains, Castoldi and Donati in Cantanhede) but the Hungarians proved more consistent, the only pair to have recorded podium finishes at all three World Cup events. The Spanish Trio, Sara Moreno, Vincente Lli and Belen Guillemot, was the only trio to take part in more than two World Cup events in 2016. The Italian group gymnasts, Michela Castoldi, Paolo Conti, Davide Donati, Sara Natella and Emanuele Caponera took gold in Aix-les-Bains and became silver in Cantanhede. As a result, they won the title of champions. 2014 World champion Romania, whose only World Cup outing of the year was in Cantanhede, showed their might by winning the event. The 30 points they earned with the gold medal placed them third in the overall standings.